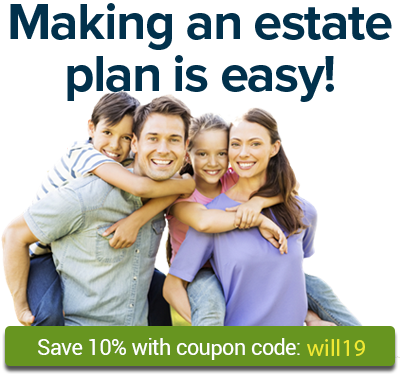 Written funeral plans will spare your family worry and confusion. If you've ever settled a loved one's affairs after death, you know it can be difficult to plan a funeral or memorial service. Family and friends want to honor the person who has died, but they may not agree on what's best. The grief and stress of loss can make decisions even more challenging. Taking the time now to document your wishes for a funeral or other memorial service can both ensure that you get the kind of services you want and provide tremendous relief for your loved ones. Here is some basic information about the most common types of memorial services. Some people want all of these options; others want none. The choice is entirely yours. Viewing. This is an opportunity for family and friends to view or sit with your body. A viewing is commonly held at a funeral home or mortuary, but you are free to choose another place -- for example, your home, a community hall, or a church. Wake. Traditionally, a wake is a gathering to celebrate and remember the life of the person who has died. Often characterized by both sadness and gaiety, this gathering can be an important part of the grieving process, allowing family and friends the opportunity to come together and comfort each other. A wake is often held at a family home or a mortuary that offers wake services. Funeral. A funeral is a traditional memorial ceremony, usually held in a funeral home or a church. The body is often present, in either an open or closed casket. Beyond that, there are no absolutes or requirements for planning a funeral. If the deceased person was religious, the funeral often includes a brief mass, blessing, or prayer service. Veterans may choose a military funeral, and members of many organizations (such as fraternal or 12-step groups) can choose a service that reflects the values of the organization. Memorial ceremony. A memorial ceremony is a less formal ceremony held to remember the life of someone who has died. It often takes place some time after the burial or cremation, so the body is not usually present. Memorial ceremonies may be held anywhere -- for example, a mortuary, religious building, home, outdoors, or even a favorite restaurant. Memorial ceremonies are more often the choice of those who wish to have an economic, simple after-death commemoration. While funeral directors, grief counselors, or clergy members may be involved in memorial ceremonies, they are not necessarily the people to consult for objective advice. Many will say that traditional funerals -- often more costly and less-personalized -- are most effective in helping survivors through the mourning process. The truth is that most survivors take the greatest comfort from a ceremony that reflects the wishes and personality of the deceased person. If you're interested in environmentally-friendly memorial service options, see Green Funerals: Protect the Planet and Your Pocketbook. Whatever final arrangements you make, you have several options for covering costs: You can pay everything up front, set up a payment plan, or simply decide what you want and leave enough money for your survivors to pay the bills. There are reasons to be wary of plans that have you pay for everything in advance, however, so be sure you're dealing with a reputable provider of goods and services and carefully document your arrangements for your survivors. For more information about covering final expenses, see The Prepaid Funeral and Its Perils. whether you want to direct survivors to send flowers or memorial donations. whether you want people to send flowers or make donations to a particular charity or organization in your name. You may also want to select a photograph to include or describe the newspapers or magazines where you would like your obituary published. If you'd like a ready-made system to help set out your wishes, Nolo offers resources you can use. You can organize this important information with Get It Together: Organize Your Records So Your Family Won't Have To, by Melanie Cullen with Shae Irving. This workbook with downloadable forms provides a place to document extensive information for your executor and other loved ones. Or, you can use Quicken WillMaker Plus to make a letter setting out your wishes for final arrangements. The software can also help you make your will, living trust, living will, powers of attorney, and other legal documents you may need for yourself and your family. After you've written down your preferences, store them in a secure location, such as a fireproof home safe. (Do not store your final wishes in a safe deposit box, because others may not be able to access them in time.) Be sure to talk with your executor and other close family and friends about what you want. Make sure they know where you've stored your plans, and how to get to them when the time comes. Finally, it's a good idea to review your plans every year or two. Update your instructions if you if you change your mind about any of the details.